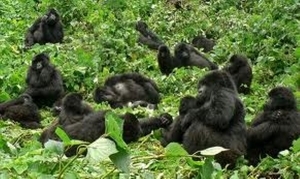 Mountain Gorillas are a popular ape for Rwanda safaris only trekked for sighting. Gorillas have both the females and males and with a study by the Dian Fossey Gorilla Fund scientists, female gorillas are proved to be important in the success of the males. Gorillas usually move or transfer from one gorilla group to another several times during their life span. An incident seen in all of the gorilla species. In mountain gorillas, the females emigrate from their natal group once they reach the age of sexual maturity. With the increase in the mountain gorilla population over the years due to their daily protection, this has resulted in more groups, which has likely facilitated the increased numbers of transfers. Almost without exception, the females transfer during inter group interactions -in other words, when two family groups come together. The one major reason for female movement is certainly the avoidance of breeding with males of her own family (in breeding). For instances where females transfer from a non-natal group where they don’t have male relatives it is believed that the reasons are more related to the quality of the dominant male (silverback gorilla). Another cause of transfer can be a loss of an offspring by the female gorilla. They move to perhaps seek a stronger male who can protect her off spring better. Planning for a transfer doesn’t just start overnight. A female gorilla can take several attempts as they check each group just to find the right family or silverback. As females move from different groups to seek powerful males to ensure their protection and the safety of their future infants, the success of the males is also dependent on the number of females – and therefore offspring – he has. Therefore, the female choice in which group to settle in undoubtedly plays a key role in defining which males are most successful within the habitat! 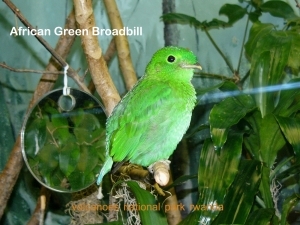 The female transfer is also key in the formation and transformation of a particular group. The silverback gorillas may lead the group and protect the family but then the females are critical in ensuring the success of the family made by the choice on which silverback is suitable for the lead role. Gorillas are amazing apes and with the strong conservation measures, the numbers are increasing! 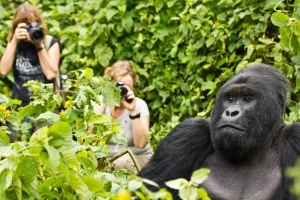 The surest way of seeing the gorillas is by undertaking a Uganda gorilla trekking tour, gorilla trekking safari in Rwanda or a Congo gorilla trekking safari. 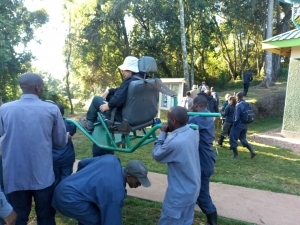 To catch a glimpse on the way of life of the gorillas in Rwanda, plan to visit Volcanoes National Park since its the major attraction in Volcanoes National Park. 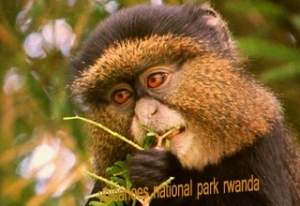 Other wise, you can also visit Virunga National Park in Congo, Bwindi Impenetrable National Park and Mgahinga Gorilla National Park in Uganda.